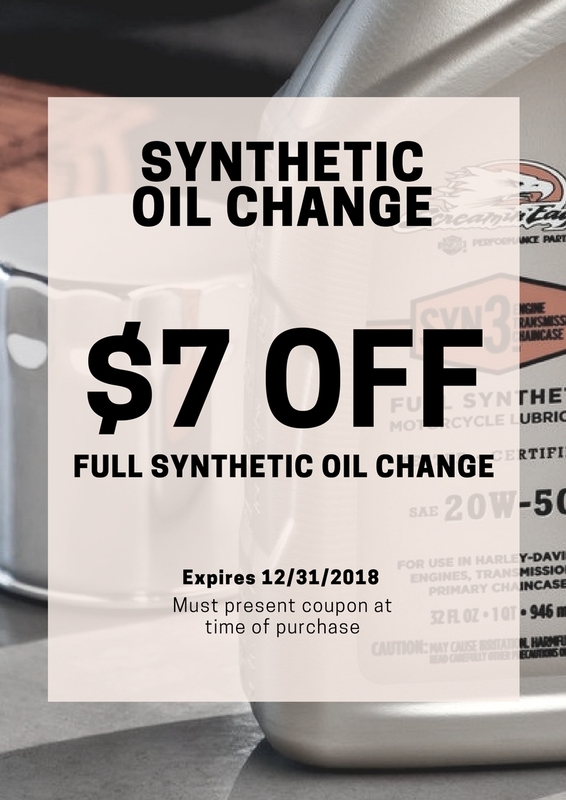 Looking for money-saving oil change and motorcycle repair discounts? You’ve come to the right place! 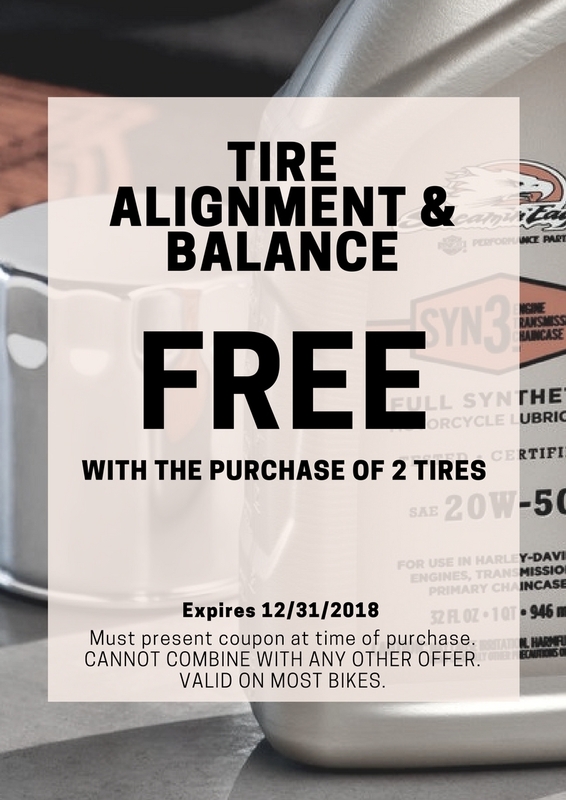 Here you’ll find Calumet Harley-Davidson Service coupons as well as tire rebate discounts (when available). 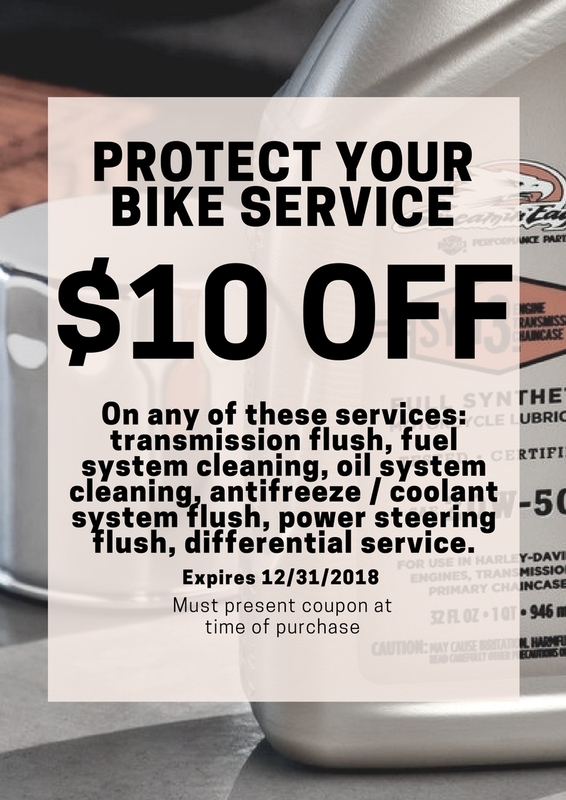 Keeping your bike properly maintained and saving you money is what we want to do! 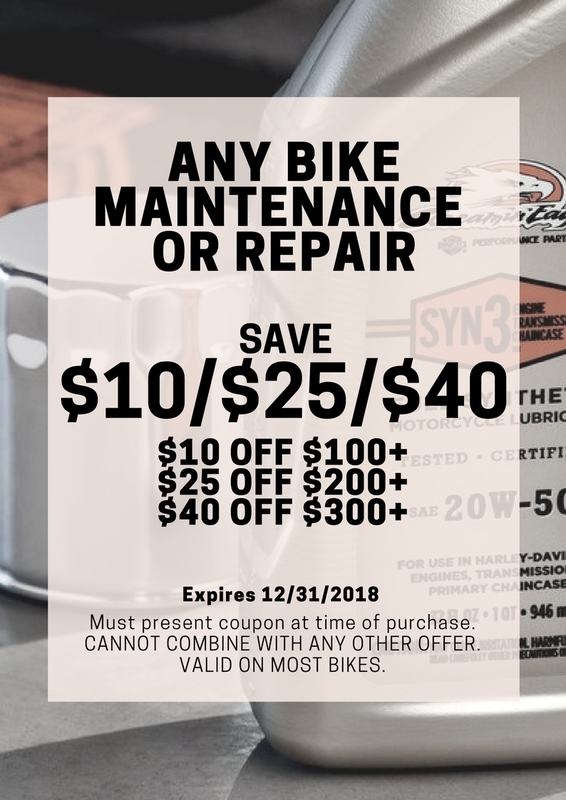 To redeem Calumet Harley-Davidson motorcycle maintenance or repair coupons, simply click the one you want and a printable version will be displayed. 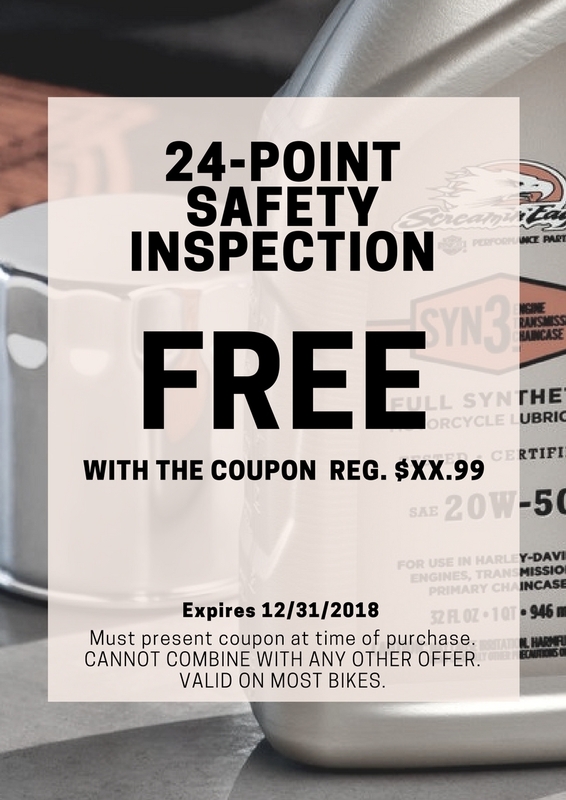 Simply print the coupon you’ve selected, bring the printed page with you, and provide it upon payment to save money on your next visit.